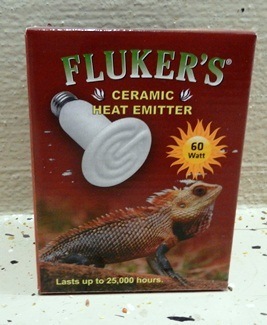 Fluker' Ceramic Heat Emitter provides natural, infrared heat that simulates the sun. Always provide your pet with a preferred optimal temperature zone. DO NOT place heat emitter over glass or plexiglass. Screw heat emitter in Fluker's Clamp Lamp. Clamp the lamp at one end of the enclosure (basking area) and plug in.